Purpose／Highly efficient cleansing oil for sensitive skin gently nourishing with anti-aging effect. For Whom／For sensitive skin lady who cares for anti-aging. Feature／① Cleanse waterproof makeup, dirt, cloggers, sebum and dead skin from pores efficiently. ② Recreating younger skin by vitamin E toward clearer, brighter and smoother tone with ingredients for Anti-oxidation and Anti-inflammation. ③ Relaxing in aroma of lavender oil with massage effect to encourage metabolism with giving essential nutritious oil after cleansing. Purpose／2-in-1 as to cleanse makeup and to clear cloggers, sebum and dirt with conditioning of skin PH properly with rich moisture. For Whom／For sensitive skin busy lady who will finish cleansing and clearing together with moisturizing skin before sleep. Feature／① Cleansing and clearing 2-in-1 at once of application quickly. ② For smoother and clearer skin by hyaluronic acid, nano collagen and gentiana lutea root extract as antioxidant. ③ Moisturized skin condition is properly kept at well-balanced PH level by power-up platinum powder. Purpose／Unique soap containing abundant of beauty ingredients maintaining moisturized condition after clearing impurities efficiently. For Whom／For dry skin, sensitive skin, ichy skin and acne prone skin. 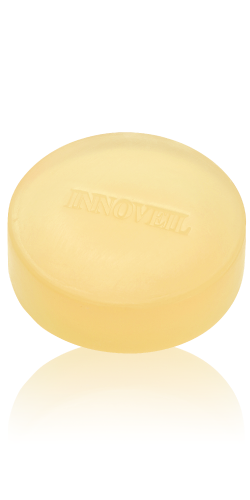 Feature／① Clear Soap produces a rich lather to absorb impurities gently and leaves skin moisturize. ② Clear Soap restores encouraging metabolism to reproduce healthier skin condition. ③ Anti-aging by Gentiana root extract for anti-inflammation as well as for anti-oxidation with moisturizing ingredient plyquaternium-51 (lipidure). Purpose／Clearing Form containing abundant of beauty ingredients maintaining moisturized condition after clearing impurities efficiently. For Whom／For dull skin and for sensitive skin. Feature／① Clearing skin tone by thick lather to remove dirt from pores and skin texture with moisturized skin and hydrated. ② Anti aging with moisturizing is accomplished by ingredients similar components as female hormones to prevent from skin dullness and wrinkles. ③ Ingredients of long-acting yuzu ceramide improves skin’s natural moisture balance and barrier function with reproducing hyaluronic acid and collagen. Purpose／Amino acid basic lotion for improving skin condition and maintaining natural healthier and moisture skin without sticky touch. For Whom／For sensitive skin and For those who prefer moisturizing without stickiness. Feature／① Amino Acid Lotion for restoring inherent natural moisture to retain proper water with nourishing beauty ingredients. ② Anti-inflammation to restore aging skin and Anti-oxidation to avoid acne by hydrating ingredients to restore and retain moisture without sticky touch. ③ Effective ingredients are formulated to protect skin from ultraviolet rays and to tighten pores by astringent balance to avoid excessive oil reproduction. Purpose／Essence Lotion containing 20% Hyaluronic acid known as natural moisture magnet for moisturizing and Anti-oxidation. For Whom／For sensitive skin, For dehydrated or dry skin & For mature skin. Feature／① Essence Lotion contains 20% of Hyaluronic Acid to hold 6L liquid within 1 gram of hyaluronic acid quickly absorbed into skin for softening and hydrating. ② Polyquaternium-51 (lipidure) is also the active ingredient in medical field for Anti-Oxidation and Deep moisturizing purpose. ③ Polyquaternium-51 protects hyaluronic acid with keeping barrier on skin for water retention with preventing shrinkage of skin. Purpose／Deep moisturizing +　Lead to clear, bright and beautiful skin . For Whom／For sensitive skin. For those who concern about dry skin. Feature／①Emollient ingredients such as argan oil, qualane, and macadamia ternifolia seed oil. ②Anti-Oxidation” and “Anti-Inflammation” lead to clear, bright and beautiful skin. ③Moisturizing ingredient polyquaternium-51(lipidure), and super hyaluronic acid penetrate the outer layer of the sensitive skin, prevent moisture evaporation within it and help to maximize hydration. Purpose／UV care and moisturizing against dry or blue light rays conditions. For Whom／For sensitive skin and For those who want to protect the skin from damages such as daytime ultraviolet rays or air pollution. Feature／① Non-chemical UV cream with SPF 25 PA+ UV and Blue Light Cut to protect skin from damages such as daytime ultraviolet rays or direct sunlight through a window also against blue light emitted by PC, TV and cellular phones. ② Moisturizing ingredients lead to clearer and brighter skin with polyquaternium-51(lipidure) and herbal extracts to facilitate collagen synthesis to moisturize the skin and lead to clear, bright and beautiful skin. For Whom／For dry chapped lips. Feature／①　It contains moisturizing ingredients to keep lips moisturized. ②　It keep lips moisturized, prevents chapping and cracking of lips and fosters increased blood circulation. ③　It goes on silky smooth-never sticky and hydrates lips for all day moisture even with a single application. Purpose／Essence with vitamin C derivative and herbal extract to lead to clearer, brighter skin with tightening pores and preventing acne. For Whom／For sensitive skin, For those who will protect skin from damages such as daytime ultraviolet rays or air pollution For those with acne scars. Feature／① Essence mixed with low stimulus vitamin C derivative effects intensive care for spots and freckles. ② Herbal extracts penetrates into skin to remove dullness and enhance transparency with reproducing collagen and skin freshness. ③ Polyquaternium-51 (lipidure?) provides protective film on skin and retains moisture.to prevent rough skin and to effect to reduce pimples. Purpose／Facial Lift up Essence with improving skin hydration, elasticity and firmness for anti- aging. For Whom／For sensitive skin.For those who concern about declining strength or loss of skin springiness. Feature／① Skin elsaticity is improved by ceramide polymer and algae extract to improve skin hydration and firmness. ② Brighter tone will be obtained with EGF, placenta those enhance natural powers of skin while boosting its metabolic ability. ③ Anti-aging care is executed to moisturize skin and to reduce dullness by selective herbs those contain coenzyme Q10(UBUIQINONE) and vitamin E.
Purpose／Effective whitening essence to restore original transparency and purity of skin. For Whom／For sensitive skin.For those who seek for original transparency and purity of skin. Feature／① Active ingredients reproduce stem cells at deep layers of skin to encourage skin turnover for clearer and transparent skin. ② Herbal extracts hinder producing melanin with anti-oxidant effect and anti-inflammatory. ③ Selective ingredients care for damage caused by ultraviolet rays also effect to protect from ultraviolet rays and to brighten dullness around eyes. Purpose／Ultimate Silk Touch Sheet + Deep moisturizing + Additive-free. Feature／① Unique Silky Touch Sheet using Silhorn which is made from gentle nonwoven fabric with 3-layered silk touch sheet for effective absorption of essence into skin. ② Ideal formulation of 19 kinds of moisturizing ingredients with moisturizing barrier to penetrate to the deepest layers of the skin. ③ Yogurt filtrate encourages skin turnover. Selective herbal extracts guard skin against several kinds of stress and to lead to translucent skin. Purpose／The quick and full skin care is possible.Improve skin hydration, elasticity and firmness　+　Help fight aging effects. For Whom／For sensitive skin.To the one which wants to improve skin easily more by the right procedure. 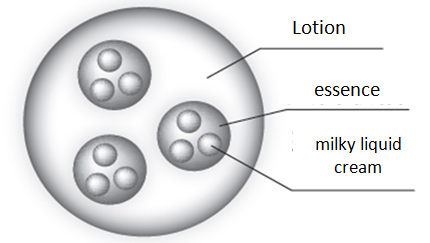 Feature／①　The multiple emulsification is the manufacturing method which completes the skin lotion - essence - protection ingredient structure of three aspects. ②　The order which penetrates skin is 1st skin lotion.The 2nd essence,The 3rd milky liquid. And protects completing with the cream. 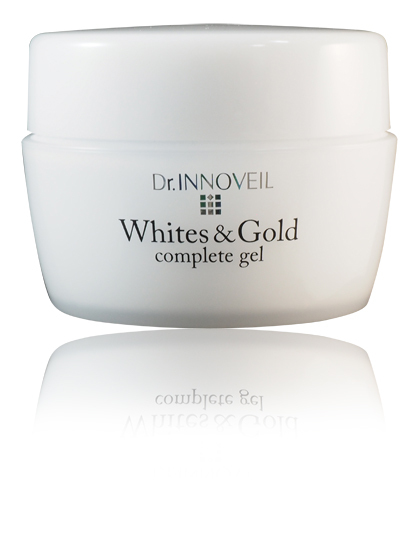 ③Whites&Gold All In One gel does skin care by the right procedure .This is optimal for you who want to do skin care at short time.